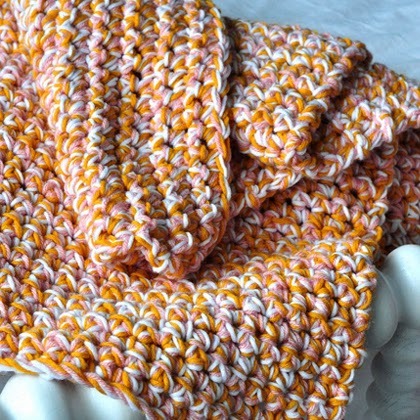 I thought of this blanket again when I started this Head-Over-Heels in Crochet series because it is a great beginner project or a mindless project for someone with more experience and the results are fantastic! As I keep repeating, I love anything that meets two critical criteria: great-looking and quick to work up! This Easy Baby Afghan certainly does.